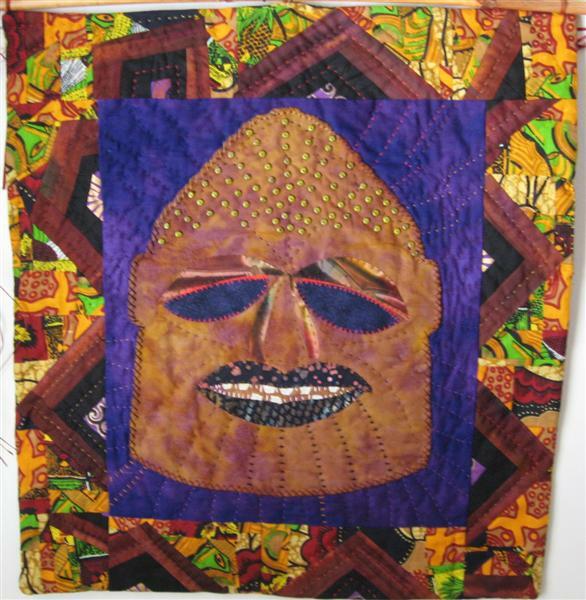 Mask Series 2 Appliqued face, pieced border. Hand quilted and embellished. African and batik fabrics, beads. Made in 2006.